This property is a flat. It is located in Rugby in warwickshire and has 1 bedroom. , loft storage and is disabled adapted. This property is a semi detached house. It is located in Rugby in warwickshire and has 3 bedrooms. This property has a garden, loft storage This property has a driveway for parking vehicles and it also has parking outside. This property is a flat. It is located in Rugby in warwickshire and has 1 bedroom. and it also has parking outside. I live in a ground floor flat in Hillmorton, Rugby. Lovely area want to move to have a garden for my little boy. Otherwise I would happily stay here. Right next to gec park with a massive field. Near local shops and a aldi. About 10 minutes walk into the town and a bus stop right behind the flats. This property is a semi detached house. It is located in Rugby in warwickshire and has 2 bedrooms. This property has a garden, loft storage and it also has parking outside. Lovely bungalow in village of Welton, 2 miles from Daventry. New electric central heating. Large back garden not overlooked, with Apple trees, lawn and flower beds. Neighbours are very nice and friendly.Daventry offers a range of shops including Waitrose and Tesco.we have buses to Northampton and Rugby, and a railway station 2 miles away in Long Buckby. This property is a flat. It is located in Rugby in warwickshire and has 2 bedrooms. This property has a garden This property has a driveway for parking vehicles and it also has parking outside. This property is a bungalow. It is located in West Lavington in wiltshire and has 1 bedroom. This property has a garden and is disabled adapted. This property is a bungalow. It is located in Llwyncelyn in ceredigion and has 2 bedrooms. This property has a garden, loft storage and is disabled adapted. This property is a flat. It is located in Cheadle in staffordshire and has 2 bedrooms. This property has a garden, loft storage and it also has parking outside. This property is a flat. It is located in Stoke-on-Trent in staffordshire and has 2 bedrooms. This property has a garden, loft storage and it also has parking outside. This property is a terraced house. It is located in Coventry in west-midlands and has 1 bedroom. This property has a garden and is disabled adapted. 2 bed moissonett. Good and quiet place. Near to park and not far away from shops, shopping parks. This property is a terraced house. It is located in Rugby in warwickshire and has 2 bedrooms. This property has a garden, loft storage This property has a driveway for parking vehicles and it also has parking outside. This property is a flat. 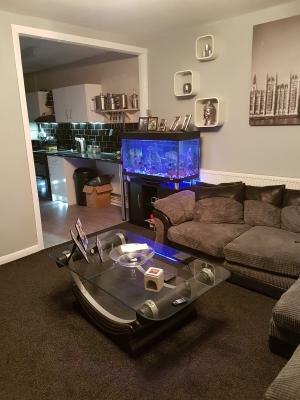 It is located in Great Yarmouth in norfolk and has 1 bedroom. , loft storage and is disabled adapted. This property is a flat. It is located in Rugby in warwickshire and has 2 bedrooms. and it also has parking outside.